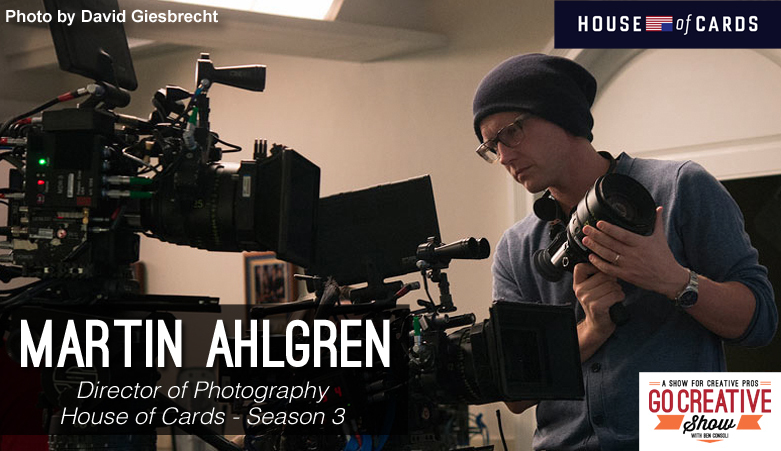 Today we invite Martin Ahlgren, Director of Photography for House of Cards Season 3. Martin and I discuss all the details behind lighting, lensing, and creating the absolutely stunning visuals of the hit Netflix show. Martin Ahlgren is the brilliant Director of Photography for House of Cards season 3. We discuss all the behind the scenes tricks that help him create one of the best looking television shows of our time. The lenses, the lighting and the beautifully crafted dance between blocking actors and moving cameras… These are just a few of the things that make us fall in love with each and every episode. Martin also discusses how his work in commercials and music videos offer him a playground of experimentation that often times result in techniques for his tv and feature film work. Fan boys and girls rejoice as we dive deep into all things House of Cards. Shooting the oval office, over and over and over and over again. 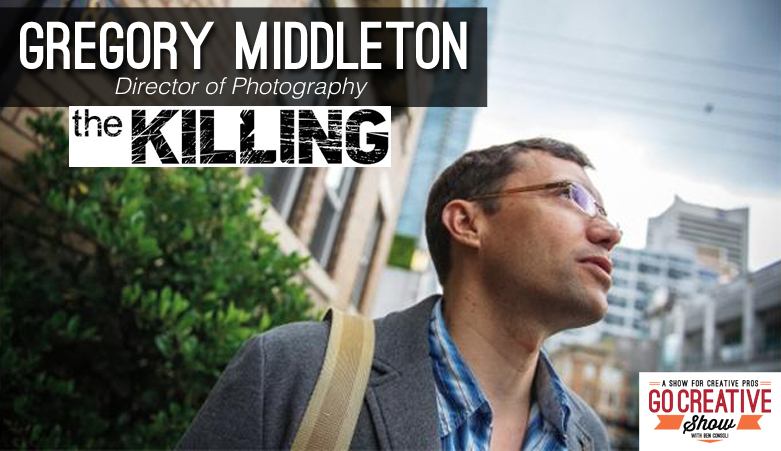 Today we invite Gregory Middleton, cinematographer and director of photography for the AMC and Netflix series The Killing. We discuss how Netflix saved the show, the new visual direction of season 4, the film industry in Vancouver and more. Plus Gregory shares insight into his next project Game Of Thrones! Today we speak with cinematographer Igor Martinovic. Igor is the Director of Photography for the netflix original series “House of Cards” as well as countless feature films and documentaries including the Academy Award winning “Man On Wire”. Igor shares behind the scenes stories from House of Cards, working with David Fincher and Kevin Spacy, shooting on the Red Epic and more. 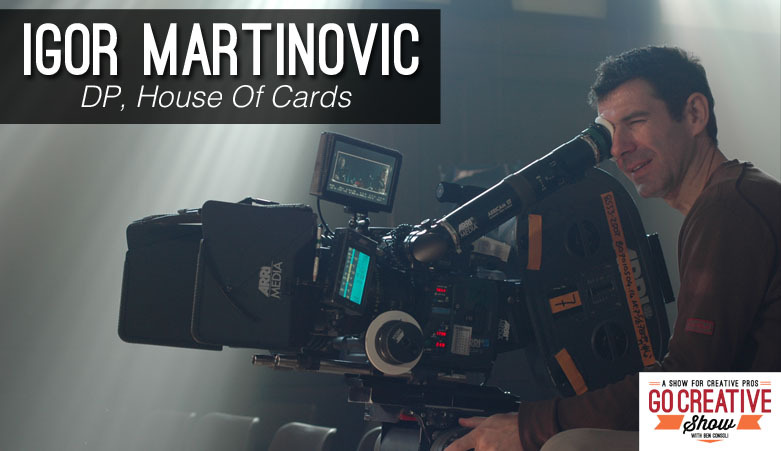 Igor Martinovic is a New York based cinematographer of feature films, documentaries and television inducing the Academy Award winning “Man on Wire” and most recently the Emmy Award winning Netflix original series, House of Cards. Igor and I discuss his vast portfolio of work across TV, film, documentary and commercial. Igor shares his thoughts on working with David Fincher and Kevin Spacy, shooting for Netflix on 4K, his camera and lighting techniques and much more. 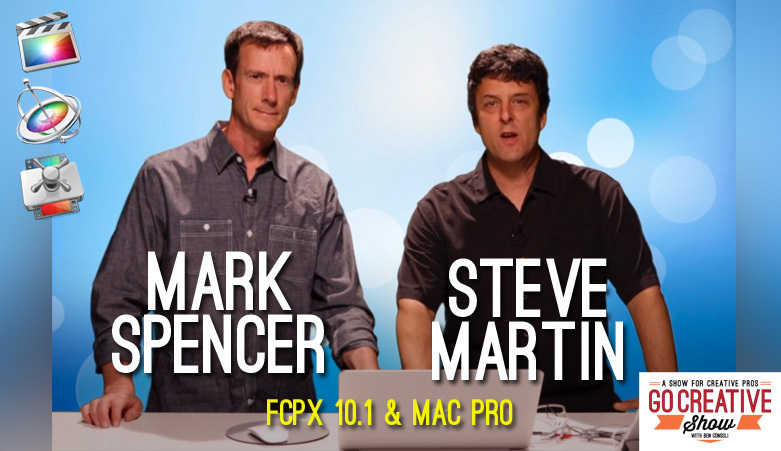 In this Go Creative Show podcast, we celebrate the big Final Cut Pro 10.1 and Mac Pro release with Mark Spencer and Steve Martin from RippleTraining.com. 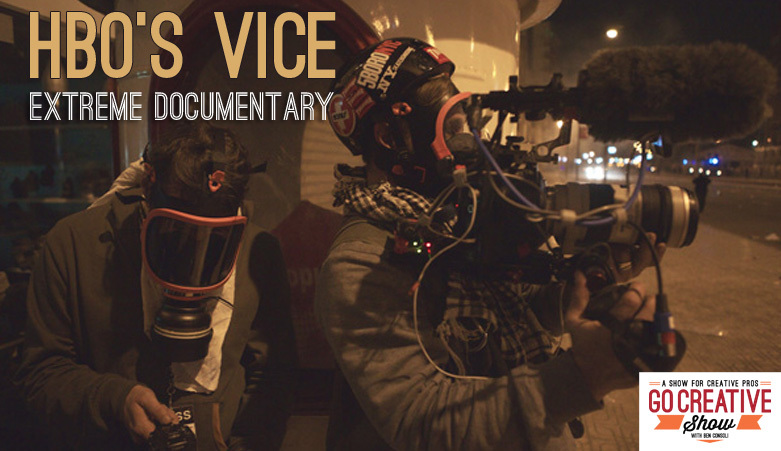 In this Go Creative Show podcast, we speak with Cameraman Jerry Ricciotti and Equipment Manager Dan Meyer from the HBO Documentary Series VICE.